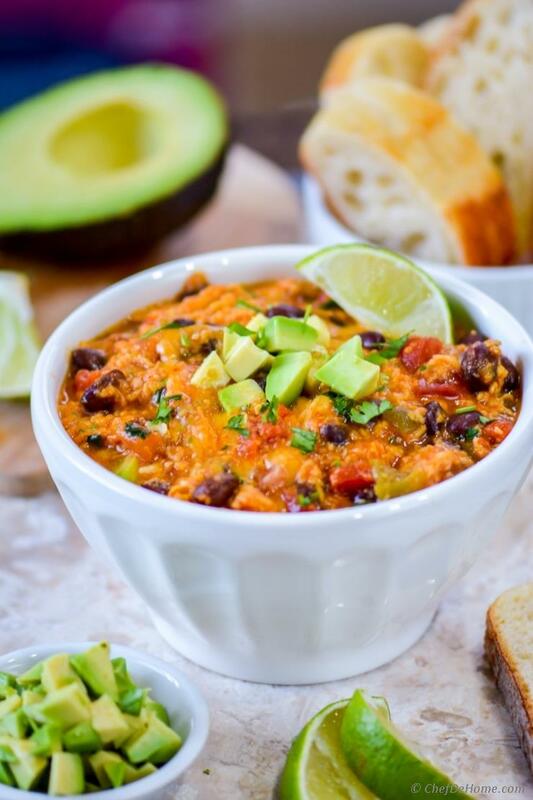 Zesty jalapeno, comforting black-beans, tangy tomatoes, melted cheeses and some seasoning to tie everything together! Call it a Mexican Cheese Dip or Southern Taco Cheese Dip..... 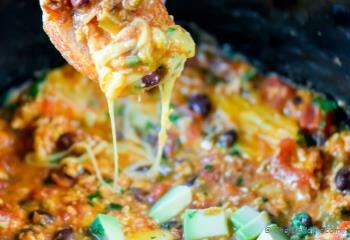 This my friends is a crowd-friendly chip-licking party dip that you add to crock pot and forget about it! Isn't it a perfect Holiday Party-friendly idea? Crock pot is your (mine too) best friend when it comes to serving a bigger crowd some mouthwatering slow-cooked flavors. 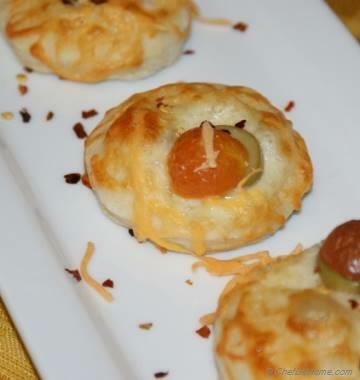 Especially, when for parties or holiday gatherings, your oven is all filled with baking pie, dinner rolls, and turkey.... and stove filled with stuffing, few curry sides (just in my Indian Kitchen).... easy appetizer recipes like these are life saver!! The best part about this dip is : quick assembly time i.e. just 10 minutes and rest is worry of your trusted slow cooker. The bold and zesty Mexican flavors are everyone's favors in the gathering. One quick tip: If you own a smaller (3 quart) kinda crockpot. 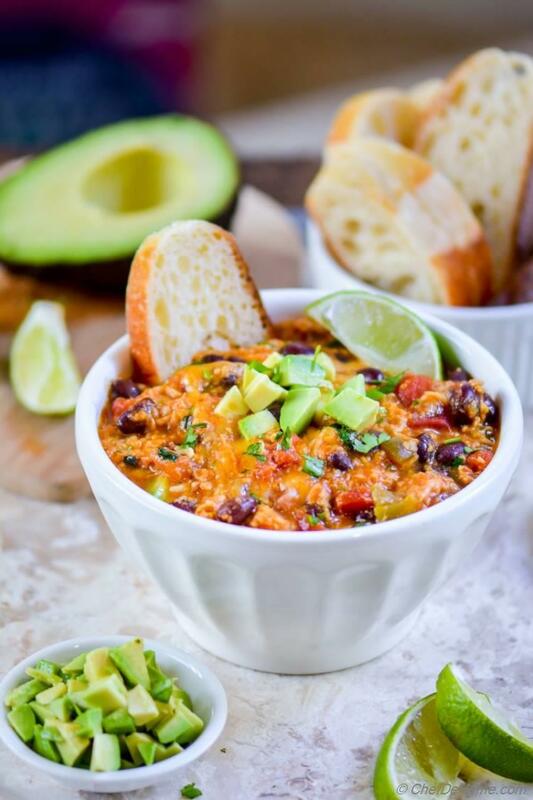 You can even serve the dip in the crock pot with all fresh toppings. For cheese, I wanted add sharp notes of cheddar, wonderful melting of mozzarella, and Colby jack cheeses into the cheese dip. 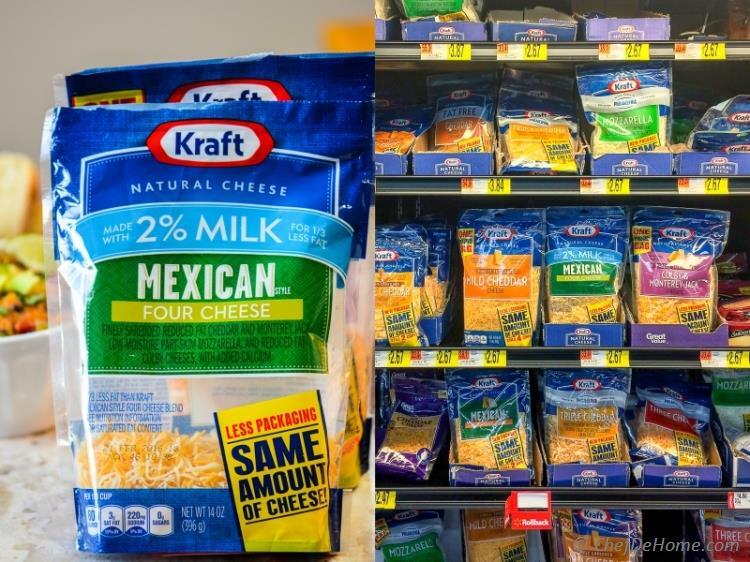 So while shopping in Walmart over the weekend, I grabbed few bags of Kraft Natural Cheeses - Mexican style Four Cheese Blend, Mozzarella, and Cheddar. 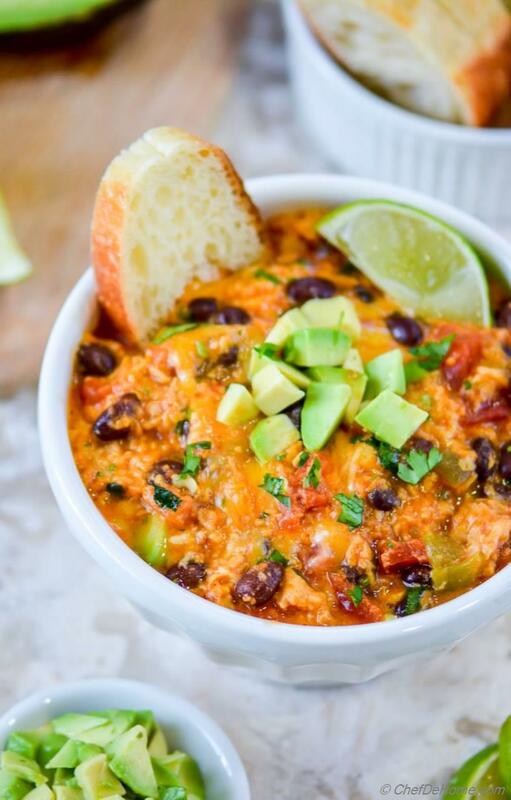 Due to slow cooking in crock pot, this dip is really very forgiving. You can use any cheese of your choice. So feel free to pick any cheese of your choice. Krafts Natural Cheeses has lots of variety and large gathering-style packaging to help you make cheese dip for even a bigger party crowd. Just so you know, Krafts Cheese products are located in Cheese and Dairy aisle of Walmart. 1. Mexican Cheese DIp or any cheese dip in general is best when kept warm. Specially with cold weather days, I recommend using a thick-bottom vessel or simply serve it in the crock pot! 2. 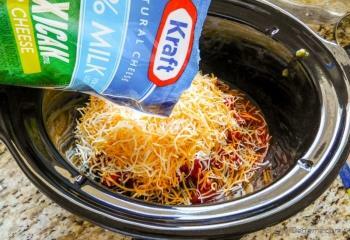 If serving in crock pot or expect to reheat, serve topping on the side for your guest to make their own flavor combination. Few of my fav toppings : Avocado, cilantro, and more fresh tomatoes!! 3. For dippers, thick sliced baguette, rustic corn tortilla chips and some thick sliced fruits and veggies are perfect to enjoy this Mexican Fondu! 4. A lots of fresh toppings and dippers are make cheese dip a balanced appetizer! I hope you will enjoy this easy cheese dip in you next holiday gathering! 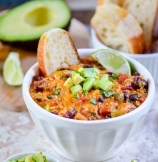 Try these dip recipes for a Mexican-style Party Platter! Total Time 2 hrs 10 mins Prep Time 10 minutes Cook Time 2 hrs 0 mins Difficulty Easy Yields 4 Cups Dip Serves 8 Notes No. of servings depends on serving size. Smart Swap Add sauteed minced meat to make dip more substantial. 1. Heat oil in a skillet, add onion and saute until soft (about 3-4 minutes). Add taco seasoning and saute for 30 more seconds. Transfer onions to slow cooker (crockpot) container followed by diced tomatoes, jalapenos, half of cilantro, and rinsed beans. 2. Sprinkle top with cheeses and cover the top. 3. 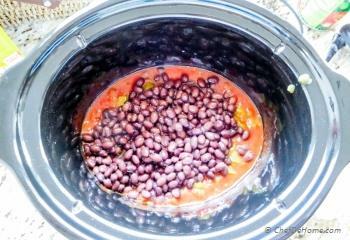 Cook in slow cooker on high for 2 hours or on slow for 4 hours. After finished cooking. Mix well, then add remaining cilantro. Top with diced avocado just before serving. 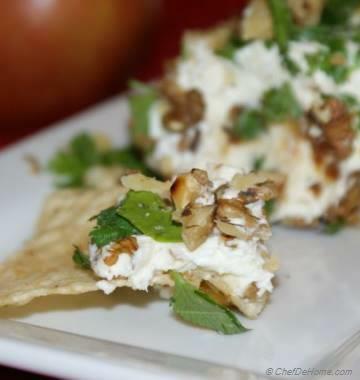 Serve with tortilla chips or baguette chips and enjoy!! 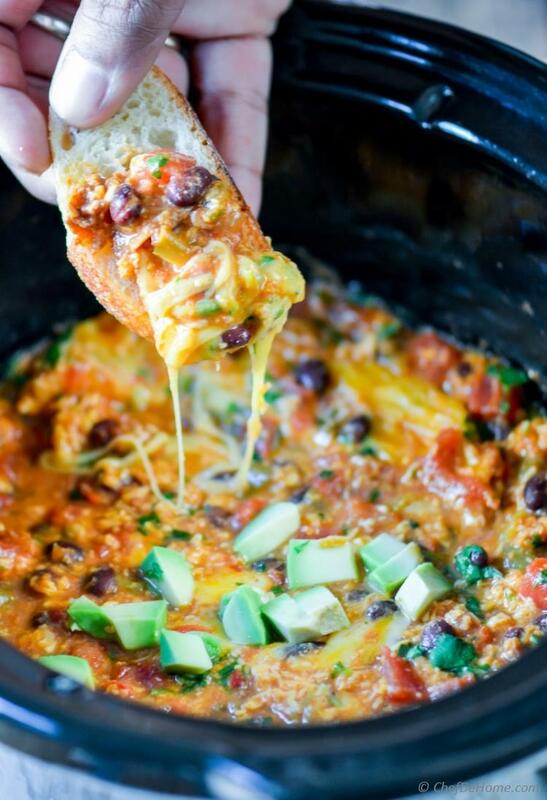 If not serving immediately, leave the dip on warm and covered in the slow cooker. I have been making taco bowls lately in the slow cooker with similar notes. 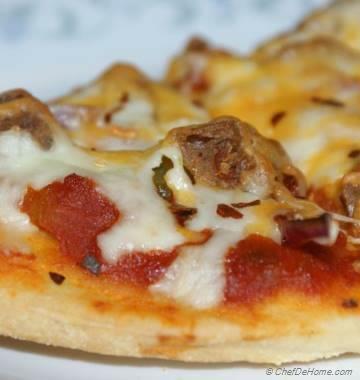 This looks so delicious Savita! Cheesy goodness! I think I will eat this entire bowl with a spoon, looks so yummy!! thanks, Manali for such sweet words! I'm glad you like this cheese dip so much :) Sending a big bowl your way!